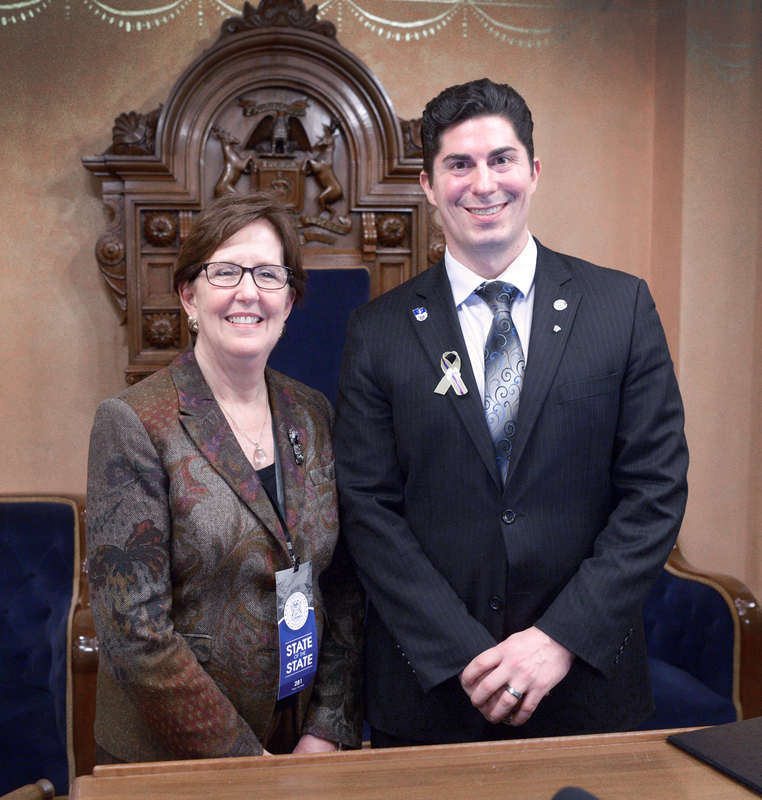 LANSING, Mich. — Sen. Michael D. MacDonald, R-Macomb Township, welcomed Barbara Rossmann to the Michigan Capitol on Tuesday night as his guest for Gov. Gretchen Whitmer’s 2019 State of the State address. Rossmann is president and CEO of Henry Ford Macomb Hospitals and chief nursing officer for the Henry Ford Health System. Editor’s note: The above photograph of MacDonald is available by clicking on the image or by visiting https://www.senatormichaelmacdonald.com/photos/.